How Many WorkFlowy Bullets Do I Have? UPDATE: WorkFlowy remembers the expand/collapse state of your last view for each bullet, and that’s a nice thing. This post has been updated with a new method that will not alter these expand/collapse states. I recommend you read all the instructions before clicking the search link in Step #1. 1) Click on this WorkFlowy search. This will enter last-changed:10000d in WorkFlowy’s home page search box, finding every bullet you’ve edited or created in the last 10,000 days. That should cover things. Have some patience, it may take a few seconds to render your last 27 years of work. 2) Type Ctrl+A twice to select all bullets (use Cmd for Mac). 3) Look at the right pop up menu to revel in your bullet proclivity. 4) Press Esc to clear the search. * The last-changed: search operator automatically toggles to Completed:Visible. 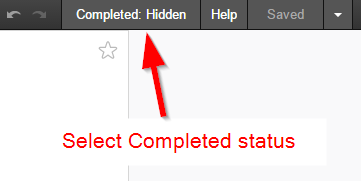 If you want to count only incomplete bullets, click the toolbar to toggle back to Completed:Hidden and repeat Step #2. 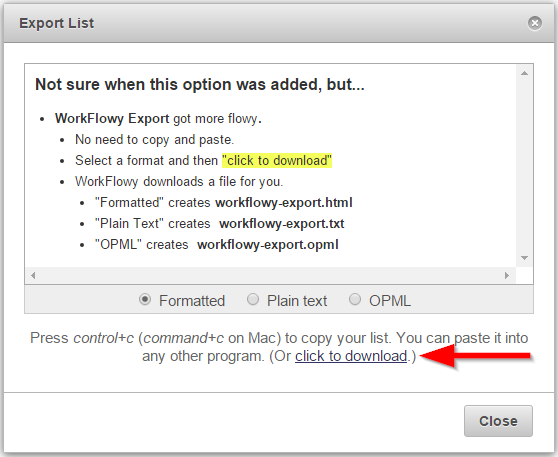 WorkFlowy has added a “click to download” option to the Export List form. In addition to the old method of manually copying (& pasting), you now have the option to download a file with a single click. Nice. Ask WorkFlowy users what new features they want, and reminders is usually near the top of the list. 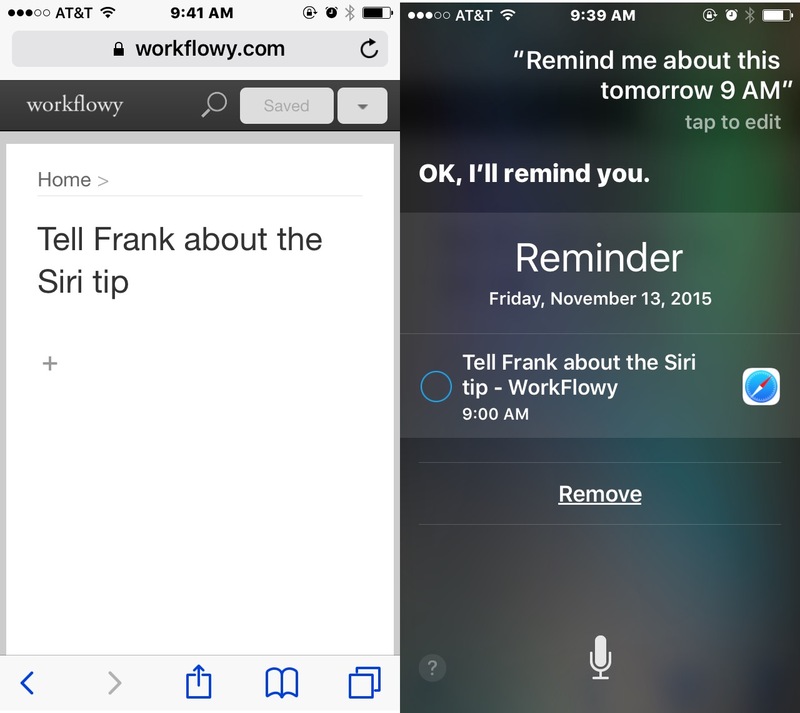 With iOS 9, Siri gets some new functionality that makes creating WorkFlowy reminders a snap. To use this tip you need to view WorkFlowy in iOS Safari and not the app. In iOS, there are lots of good reasons to use Safari for WorkFlowy (alongside the app), but that is a future blog post. 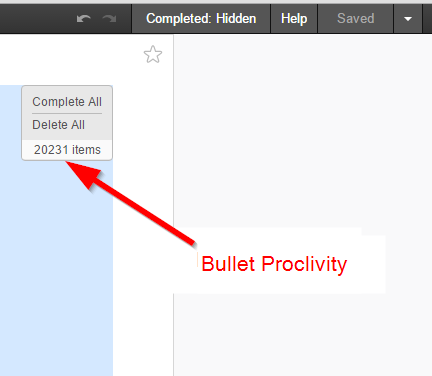 In Safari, zoom on the WorkFlowy bullet you want to be reminded about. When the reminder sounds, simply tap the Safari icon to jump to the WorkFlowy bullet. Note: This post updated (Nov 2018) for Chrome 70. Offline support: A requirement if your internet connection is patchy or non-existent. Focus: WorkFlowy is all about focus. The app offers a clean window with no bookmarks bar, no address bar, and no tabs to distract you. Workflow: some users simply prefer a separate window vs keeping a tab open in the browser. So, What is “WorkFlowy Window”? Confession: It’s a name I made up… for a feature already baked into Chrome. If you are a Chrome-ninja, you probably already know about it. But I suspect many non-ninjas (and even some ninjas) may not be aware of some compelling advantages WorkFlowy Window offers over the Chrome app. First, let’s talk about what WorkFlowy Window can’t do, and it’s a biggie: Offline. If your internet connection is reliably patchy or non-existent, you can stop reading. In fact, I still use the Desktop App, but only in offline situations. Multiple instances: You can put WorkFlowy Windows side by side. While you can’t drag bullets between them, you can use the standard edit operations (including multi-edit) to copy, cut and paste bullets between the two. Custom Shortcuts: Speaking of multiple, you can setup custom shortcuts to launch instances into specific nodes… make one for “Work” and one for “Personal”. Chrome Extensions! That means Stylus, WorkFlowy To Google Calendar, Clip To WorkFlowy, and Tampermonkey to name a few. 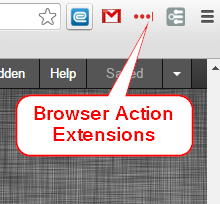 You can access extensions via keyboard shortcuts or the right click menu. As of Chrome 70, there is now a 3 dot menu icon in the title bar you click for icon access. Copy Bullet URLs via right click on the bullet, or click the 3 dot icon for the zoom parent. Spellcheck turn it on or off, just like in Chrome. Sounds Good, How Do I Do This? 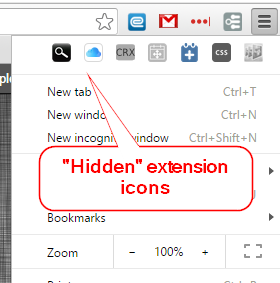 Click the Chrome’s Customize icon (3 dots) in the upper right. Name it as you like, and click Create. Voila! Chrome creates a shortcut to your shiny new WorkFlowy Window. Access the shortcut via your Desktop or chrome://apps . Windows Tip: If you want to pin this to your Windows Taskbar, launch the desktop shortcut, and pin that instance to the taskbar by right clicking on the icon. Update 12/8/2015: WorkFlowy has changed these shortcuts for Windows users, but left them the same for Mac and Linux users. Chromebook users are reporting problems. WorkFlowy has great keyboard shortcuts, including a handy hidden pair that allow you to quickly navigate between siblings in your WorkFlowy outline. They are great for reviewing a list of items, in all of WorkFlowy’s zoomed and focused splendor. And if you use WorkFlowy, you may have list or two to review. Warning! This pair is addictive. I use a lot of bookmarklets. They’re great for all sorts of tasks… but they have some drawbacks. First, they can eat up space on your bookmarks bar. To add insult to injury, Chrome offers exactly one option to customize the favicon: the blank page… which means you better name them and use more valuable space on your bookmarks bar. And you have to use the mouse to activate them. You can nest your less-used bookmarklets in folders to solve the first issue, but what about keyboard shortcuts? There is an easy way to create keyboard shortcuts to bookmarklets (and websites) and it’s all built into Chrome without the need for extensions. Let’s assume we have an existing bookmarklet on our bookmarks bar, and we’ll convert it to a keyboard shortcut and free up some space. For this example we’ll use a bookmarklet called “SiteSearch”. It searches the current site for any selected text, and with no selection it presents a prompt to enter your own site search terms. If you want to play along at home, you can create your own SiteSearch bookmarklet by selecting all the code below, then dragging it to your bookmarks bar. With the Name field highlighted, hit tab to move to the URL field. With all the code in the URL field selected, copy it to the clipboard. Hit Cancel to close the edit form. Right Click on Address Bar and select Edit Search Engines. Scroll to the bottom of “Other Search Engines” until you see three empty boxes. Enter a keyword shortcut. In this case, I use ss because it’s fast to type. 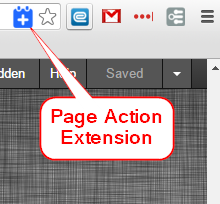 Paste the bookmarklet code into the URL box. Press Done, because.. well, you’re done. Type your keyword ss. The first match will be the bookmarklet name. Press Enter. Boom! You just activated your SiteSearch bookmarklet with keyboard.